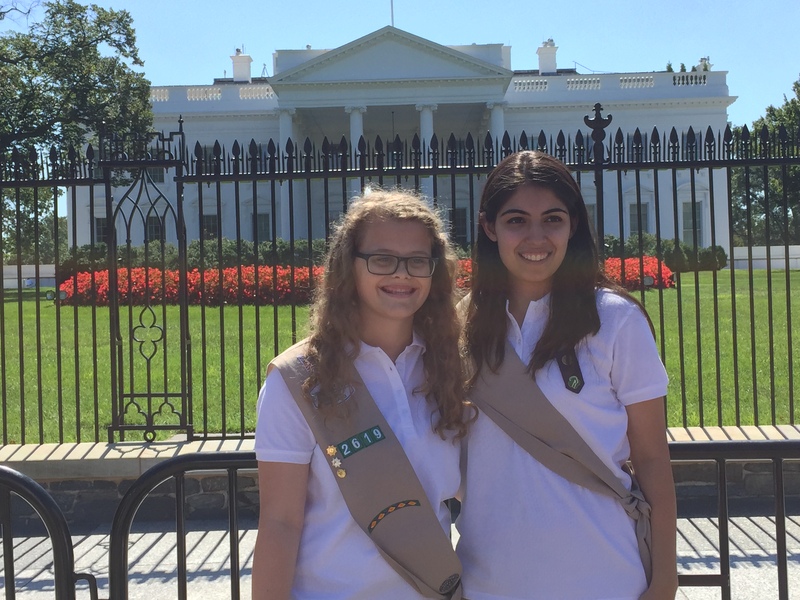 On Tuesday, September 15th, eleven young women were honored at the White House for being Champions of Change. With the goal of celebrating their accomplishments and encouraging others to strive to become beacons of change in their own community, the event also featured Senior Advisor to the President and Chair of the White House Council on Women and Girls Valerie Jarrett, Chief of Staff to the First Lady and Executive Director for the White House Council on Women and Girls Tina Tchen, NASA astronaut Serena Auñón, United States Chief Technology Officer Megan Smith, Director of the White House Domestic Policy Council Cecilia Muñoz, Office of Science and Technology Policy Associate Director for Science Jo Handelsman, Executive Director of the White House Initiative on Educational Excellence for Hispanics Alejandra Ceja, Smithsonian National Museum of African Art Director Johnnetta Cole, and blogger and entrepreneur Karen Civil. 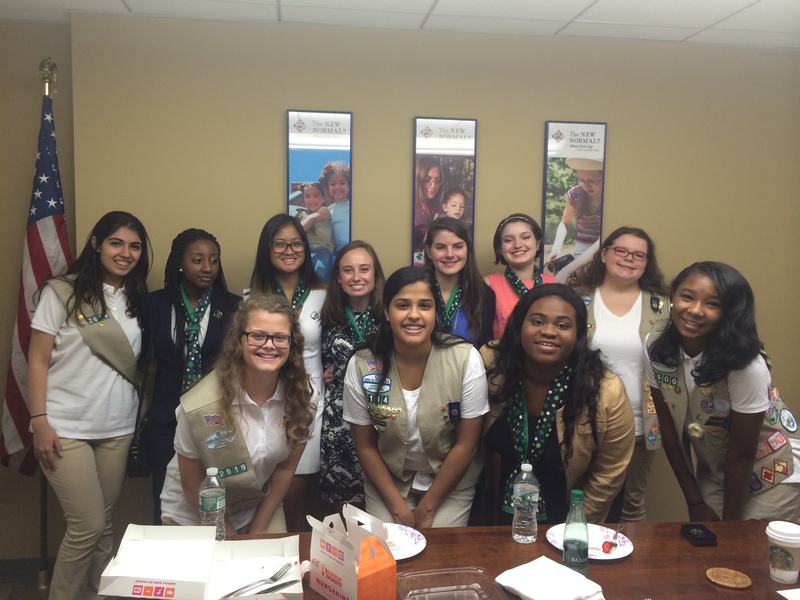 Six local Girl Scout Gold Award recipients were also able to be a part of the Champions of Change event. The Girl Scout Gold Award is the highest award a Girl Scout can earn. Nationally, only 6% of eligible Girl Scouts successfully earn this prestigious award. Girl Scouts of Central Maryland has pinned nearly 1,500 girls with this esteemed award; an award that is given after a sustainable community service project has been completed. Girl Scout Gold Award recipients are adept at organizing, have a resilient spirit; are resourceful and demonstrate a willingness to lead the way through community service. The six Girl Scouts of Central Maryland Gold Award recipients who participated in the Champions of Change event are: Caitlin Battle-McDonald from Baltimore County whose Gold Award project was, Caring for Caregivers Lending Library; Tyler Burton from Carroll County whose Gold Award project was, Introducing Seniors to Technology; Leah Mathews also from Howard County whose Gold Award project was, A home for Wayward Owls; Julia O’Mara, from Anne Arundel County, whose Gold Award project was, Folk Art Barn Quilt; Nika Rafiee, from Baltimore County whose Gold Award project was, Art by the Bay; and, Victoria Tully, also from Baltimore County whose Gold Award project was, Help for Haiti.